No one likes the idea of having a tooth pulled, but sometimes it’s necessary for the health of your smile. To make sure you’re in good hands, visit Dr. Nadja Horst at 601 Dental Studio PA. With a wide range of general and cosmetic dentistry services, Dr. Horst performs extractions and other routine procedures at her comfortable and inviting office in Pembroke Pines, Florida (servicing surrounding areas such as Miramar, FL., and Cooper City, FL). To receive a consultation about your needs, call the office or schedule an appointment online today. Simply put, an extraction is a procedure where Dr. Horst surgically removes one or more of your teeth. The procedure is a routine dental service and often precedes other necessary dental work, such as an implant. In other cases, people who are taking chemotherapy drugs or having an organ transplant might be at risk for immune system problems. This is sometimes reason enough to pull a tooth that may be at risk for infection. What can I expect with an extraction? Before your appointment, Dr. Horst meets with you to discuss the extraction procedure so that you know exactly what to expect. When it’s time for your extraction, she uses either a local or general anesthetic to prevent any pain or discomfort. After carefully cutting away any gum or bone tissue around the affected tooth, Dr. Horst uses small forceps to clasp the tooth. She gently wiggles it until it comes loose, or she may need to remove the tooth in pieces. Once the tooth is gone, she stops any bleeding with a gauze pad. While you might feel slight discomfort after a tooth extraction, you can manage the pain with over-the-counter anti-inflammatory medications, and ice can reduce swelling. Dr. Horst may advise you to eat soft foods for a few days. After an extraction, it’s important to keep teeth clean and maintain good oral hygiene habits. Dr. Horst follows up with you at a separate appointment to make sure your teeth and gums are healthy, and to discuss any further steps in treatment. 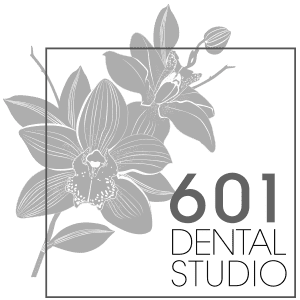 To schedule a consultation for a tooth extraction with 601 Dental Studio PA, call the office or book an appointment online today.